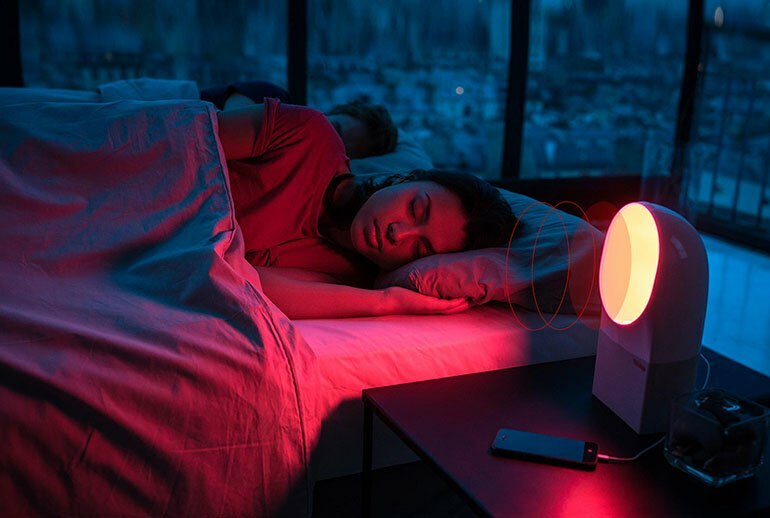 The Aura helps you fall asleep and wake up with white noise and unlimited Spotify music. It's easy to set up, and it uses soothing time-appropriate LCD lighting to put you to sleep or wake you up. 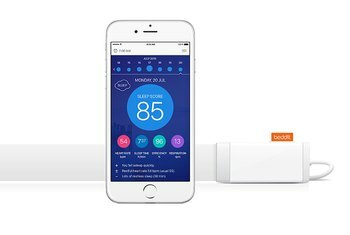 The Smart sleep system measures body movement, breathing cycles, heart rate, ambient light, and room temperature to track how well you're sleeping, It can monitor your partner with an additional sleep sensor option. The price tag may be an issue for some people. 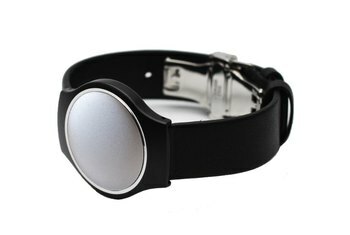 The Aura provides inconsistent data readings and often inaccurate sleep tracking data. Currently, the Aura app is only available for Apple iOS devices. 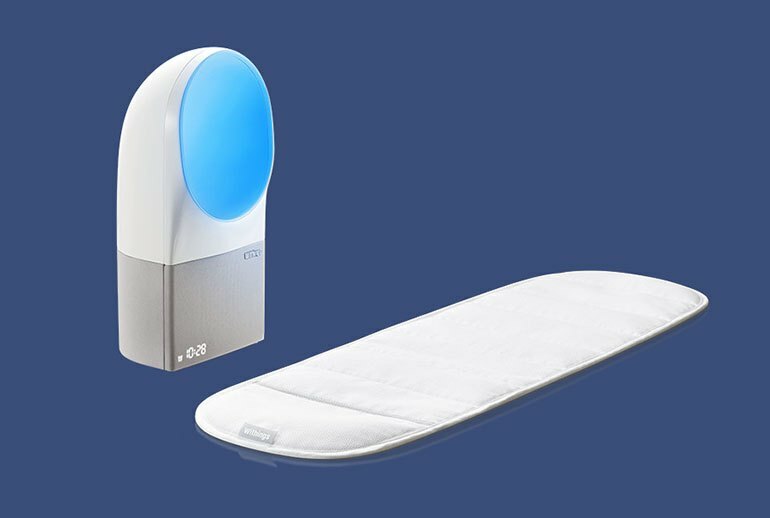 The Withings Aura comes with a bedside light/sound unit, a biosensor, and an iOS app. 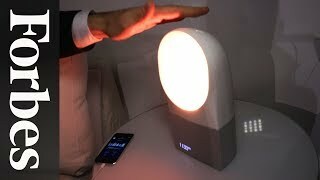 The concept provides sound and light that’s conducive to sleeping and waking up. An unlimited Spotify subscription offers sound, or you can use almost any Web radio station or only the built-in white noise generator. 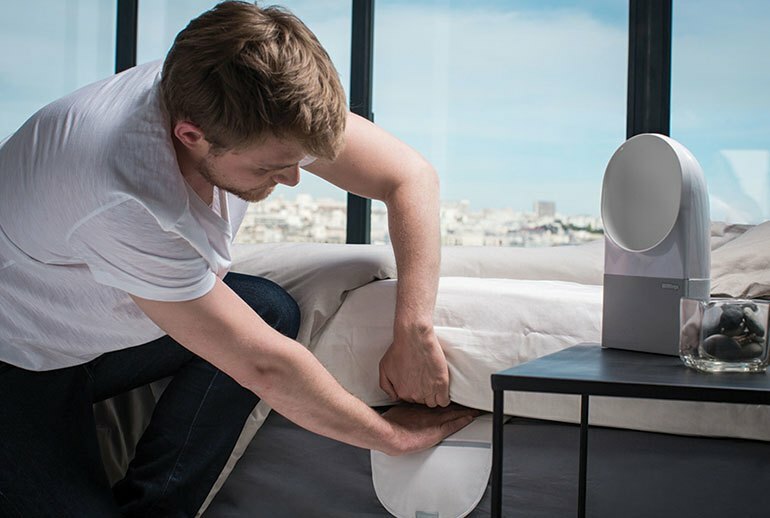 The under-mattress sensor monitors your movement, heart beat, and other functions. 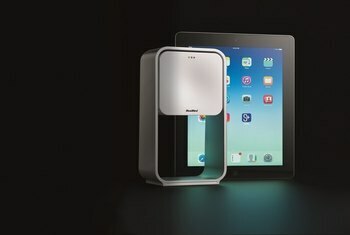 The light and sound unit is touch sensitive, with an LED light that glows red at night, and blue in the morning. Three USB jacks provide connectivity to the sensors and power for your phone. The iOS app reports environmental readings, gives music access, and customizes your wake up and sleep settings. The Aura is off to a very strong start, but it needs a little more tweaking before I can give a full-hearted, $300 endorsement. To justify Aura’s $299 price tag, I’d like to see more specificity and clear advice on improving my sleep. Otherwise, Aura becomes a high-priced sound machine. The Withings Aura is a good piece of technology, but it needs to get some kinks worked out for it to be useful. First, despite being “smart,” the alarm is more basic than you could ever imagine. At this stage, it’s an investment that’s going to appeal to a very specific group of users, however, and even that group will have to trust that additional software updates and developer support will make it more useful over time. 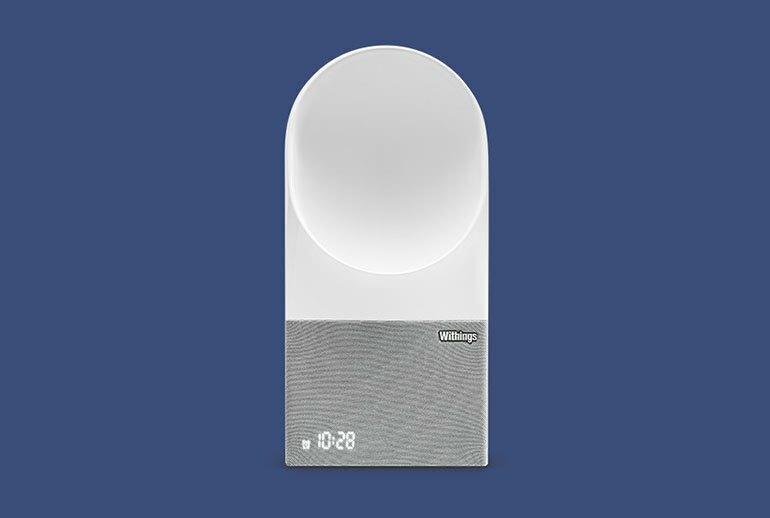 The great thing about Withings Aura is that its bedside device promotes better sleep habits at the same time the sleep sensor underneath the mattress tracks them. 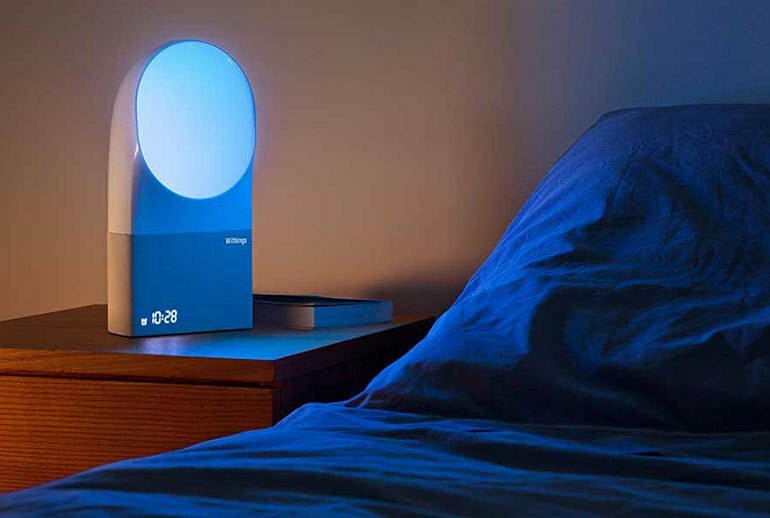 As for the lamp itself, it's both a sleep aid and a sleek, touch-sensitive lava lamp.